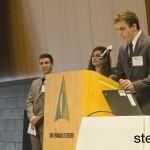 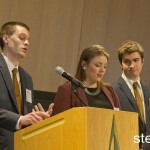 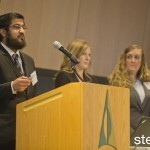 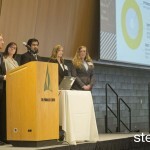 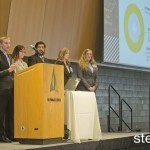 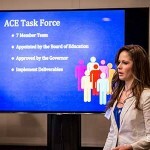 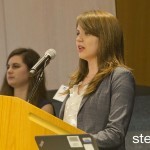 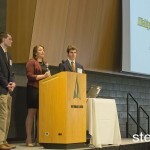 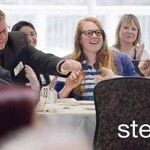 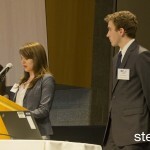 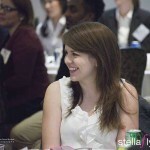 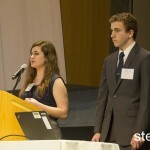 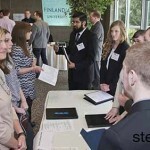 How will 15 teams of talented Michigan college students solve one of the state’s most pressing educational challenges? 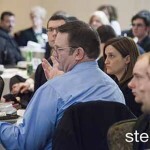 That was the question at the heart of THE Project. 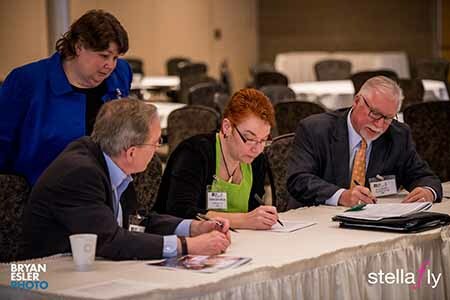 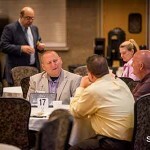 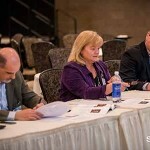 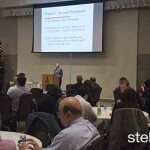 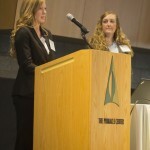 The West Michigan chapter of the Project Management Institute (PMI) hosted its annual Inter-Collegiate Competition at the Pinnacle Center in Hudsonville on Monday, April 13, 2015. 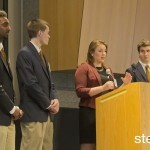 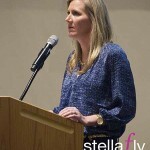 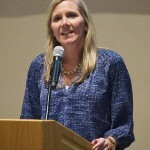 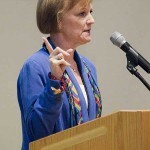 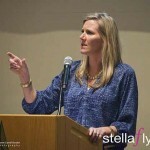 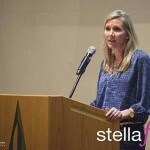 This year’s event was dubbed THE Project — The Higher Education Project. 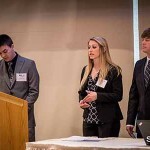 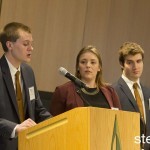 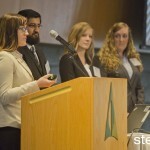 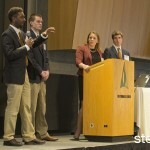 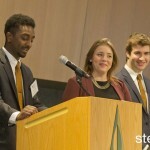 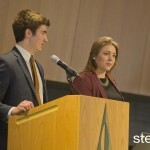 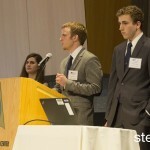 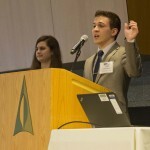 Student teams from 11 Michigan colleges presented proposals and plans to improve the affordability of higher education in Michigan. 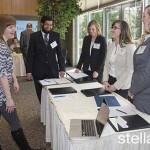 Area hiring managers and PMI members attended two public components of the day-long event: 1) a reverse job fair featuring student project managers and 2) an evening networking/dinner program announcing the $5,000 winner of the competition. 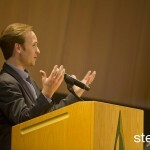 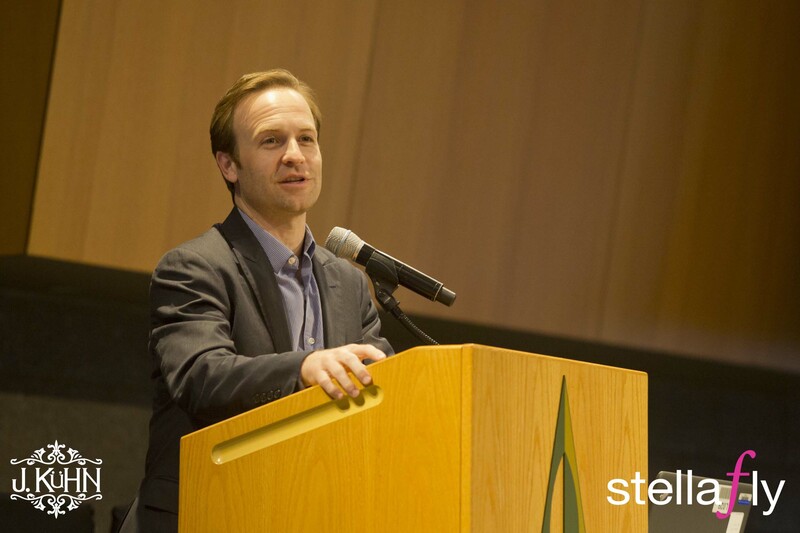 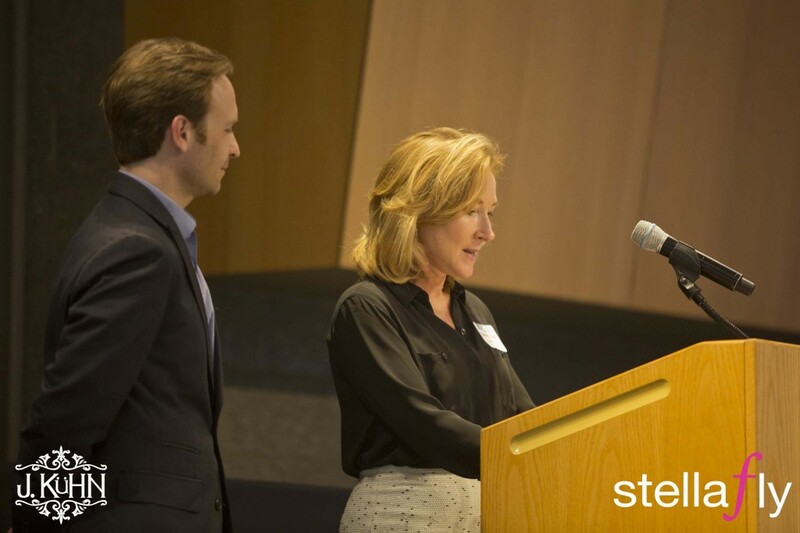 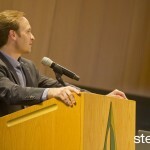 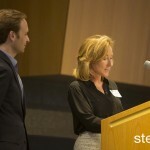 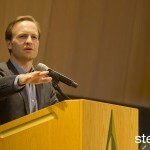 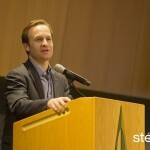 The evening program also included a keynote address by Michigan Lieutenant Governor, Brian Calley. 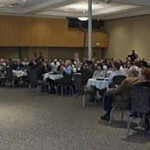 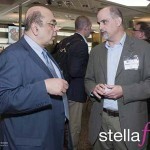 Dematic North America and Spectrum Health were sponsors for the annual event. 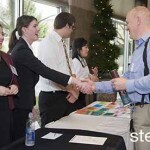 But why a project management competition and reverse career fair? 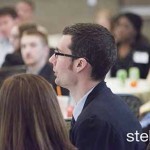 Project management skills are critical for organizations, explained Andrew Gill, head of Software Application Engineering at Dematic North America in Grand Rapids. 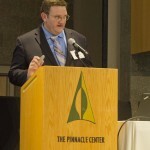 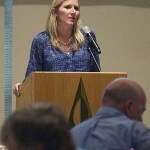 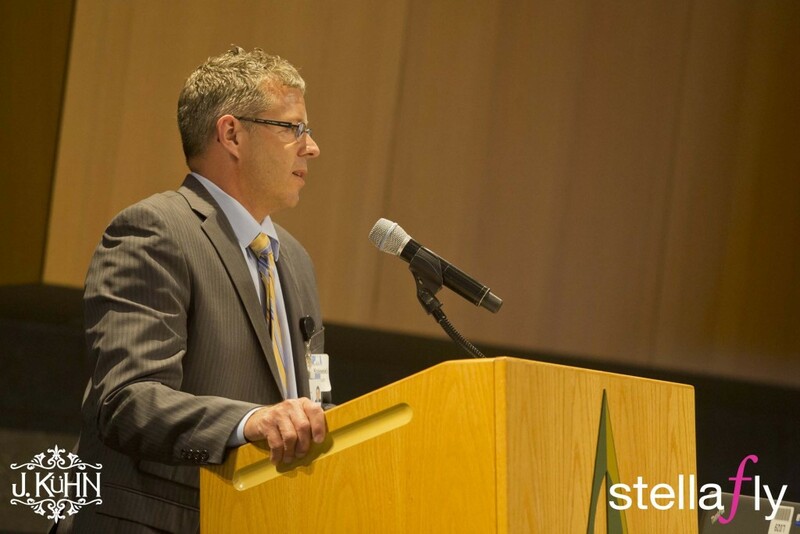 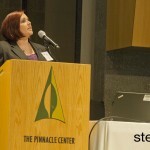 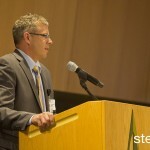 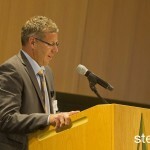 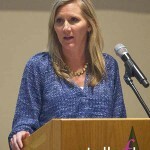 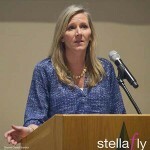 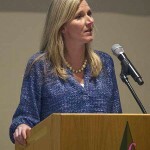 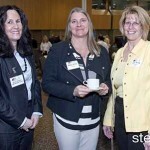 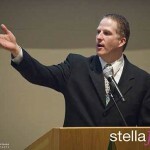 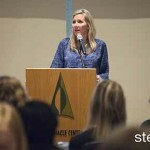 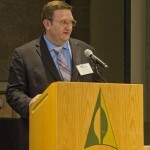 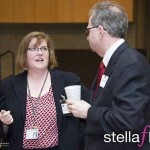 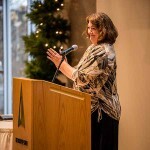 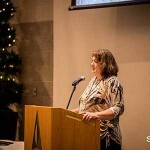 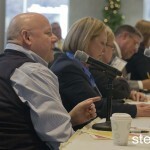 THE Project showcased the importance of project management and PMI to the West Michigan business community. 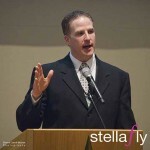 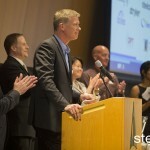 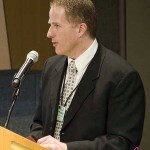 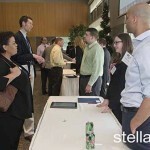 PMI member Brian Gleason, Campus Director at University of Phoenix, has played a key role in recruiting mentors for the annual competition. 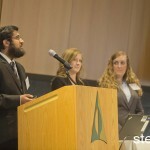 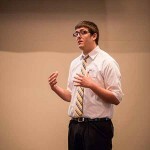 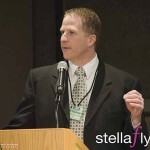 He sees THE Project as a way to give students needed experience and mentorship with project management. 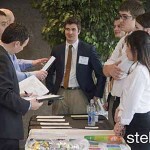 Students and mentors take months to prepare for the grueling competition. 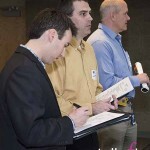 Many sign up as early as September to form teams. 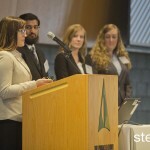 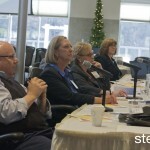 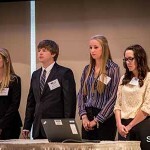 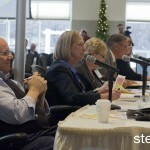 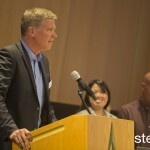 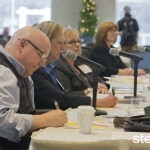 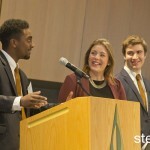 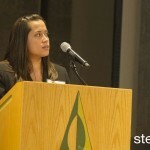 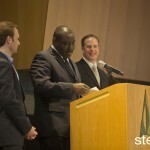 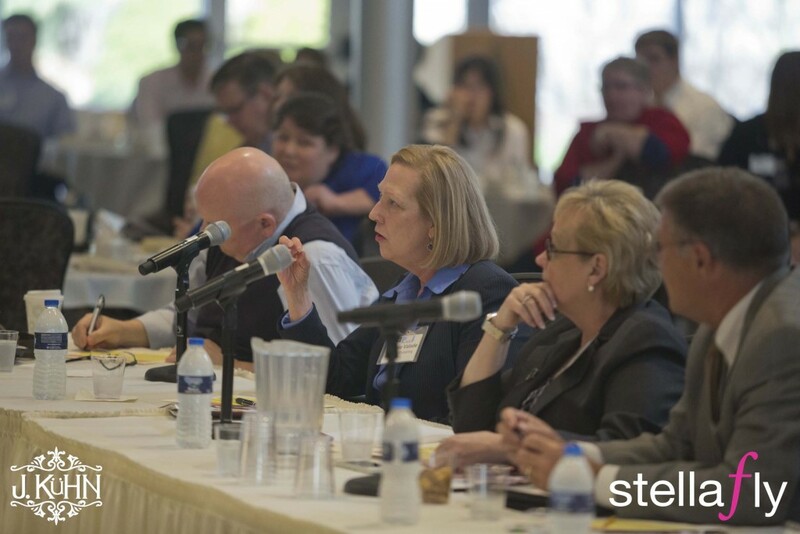 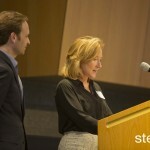 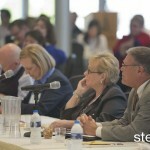 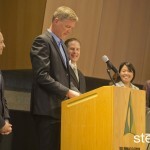 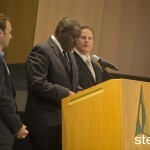 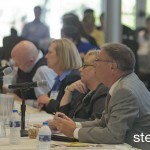 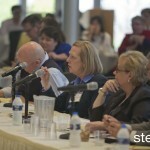 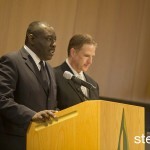 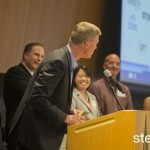 On the day of the event, each team presented to a panel of Michigan business leaders for judgement. 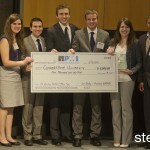 The first place team won $5,000, second place $3,000, third place $2,000, and fourth place $1,000. 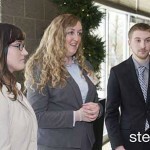 Event coordinator Jeff Kissinger, Senior Project Manager at Grand Rapids Community College, noted that the experience of the competition remains the biggest reward for the students. 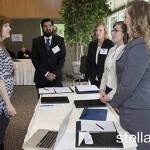 Students who have this competition on their resume, he said, demonstrate that they have powerful project management and team experience. 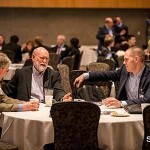 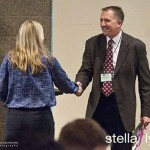 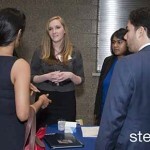 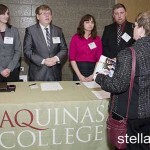 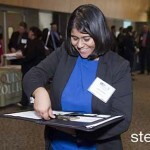 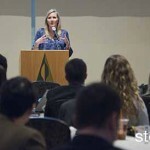 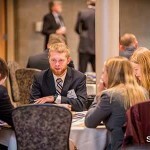 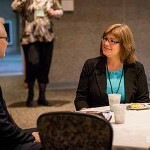 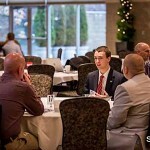 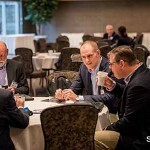 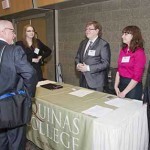 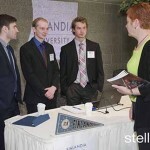 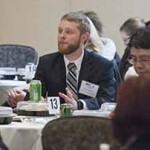 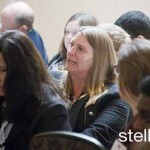 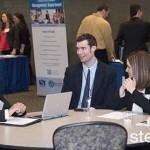 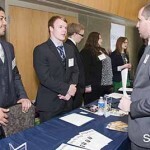 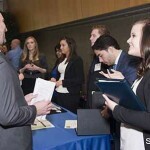 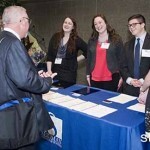 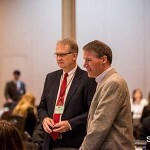 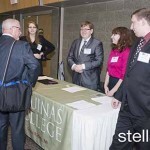 That’s why West Michigan companies looking for high caliber recent grads that have exposure to project management methodologies eagerly attended the reverse career fair. 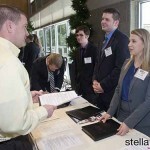 Over 80 students who participated in THE Project sat in booths and interviewed with hiring managers and recruiters. 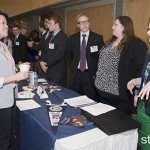 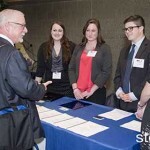 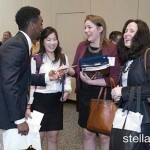 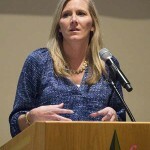 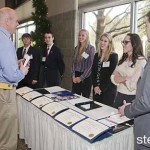 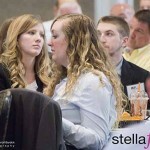 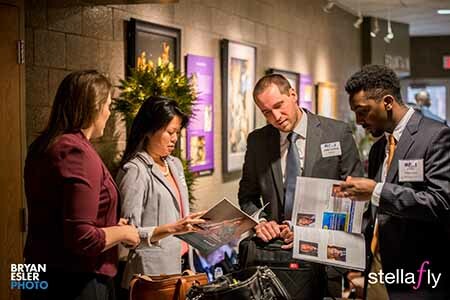 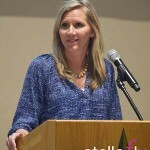 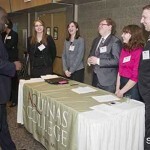 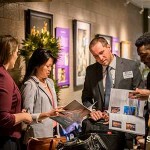 Beyond the excitement of a high-stakes competition and the reverse career fair, the theme of THE Project offered a strong draw for the business community. 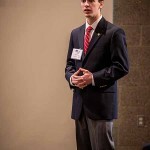 “Last year, the theme of the competition was all about supporting the veterans,” said Andrew Gill. 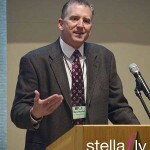 “That resonated very strongly with Dematic. 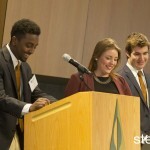 This year, it’s all about improving higher education. 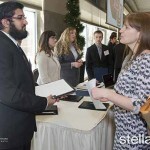 Keeping our talent in Michigan. 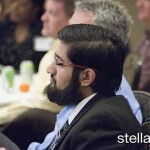 That resonates with us as well. 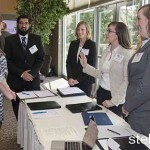 It’s not just the chapter, it’s also the business problems that students are trying to solve as part of the competition. 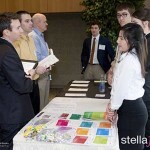 The future of project management as a career track is bright. 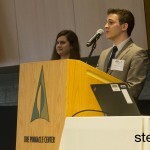 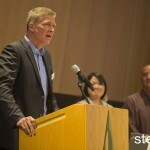 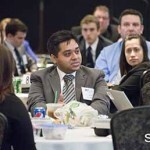 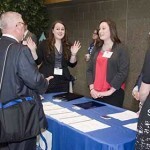 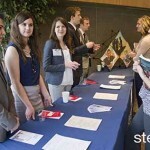 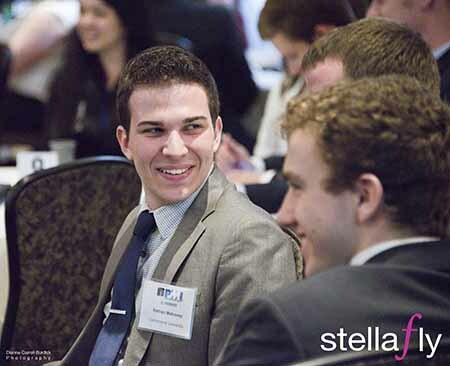 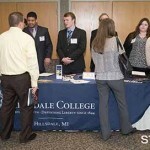 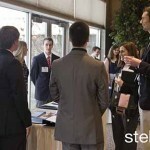 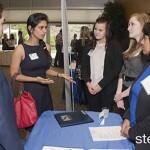 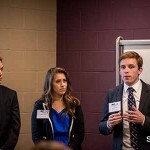 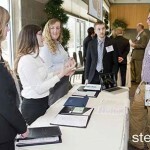 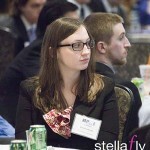 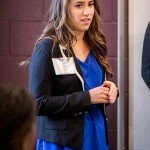 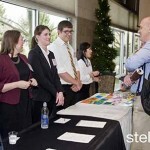 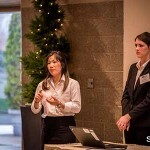 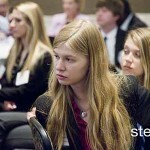 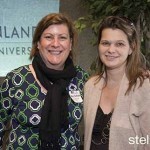 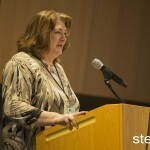 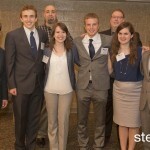 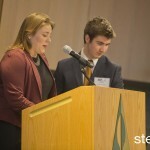 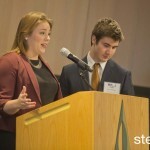 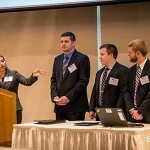 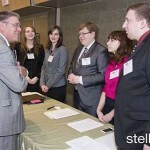 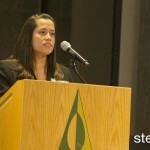 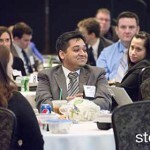 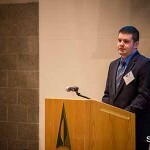 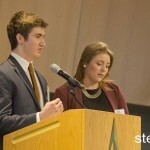 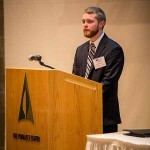 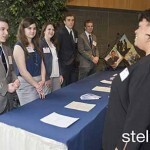 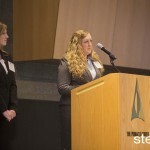 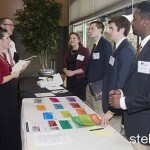 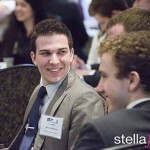 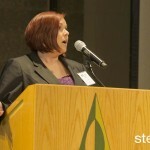 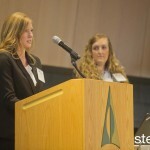 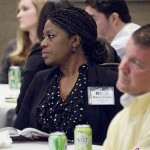 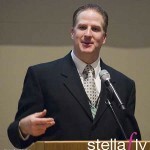 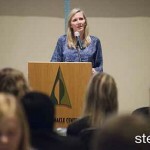 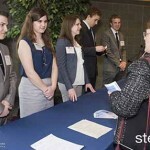 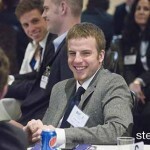 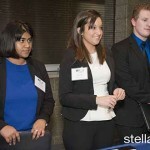 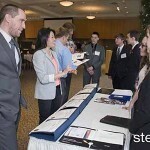 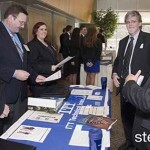 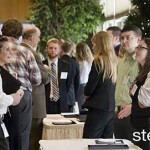 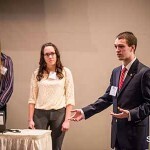 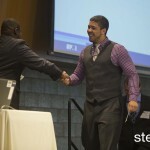 THE Project brings awareness of project management and PMI to both students and the West Michigan business community. 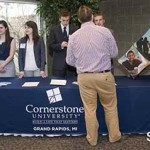 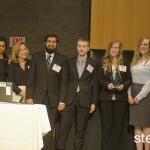 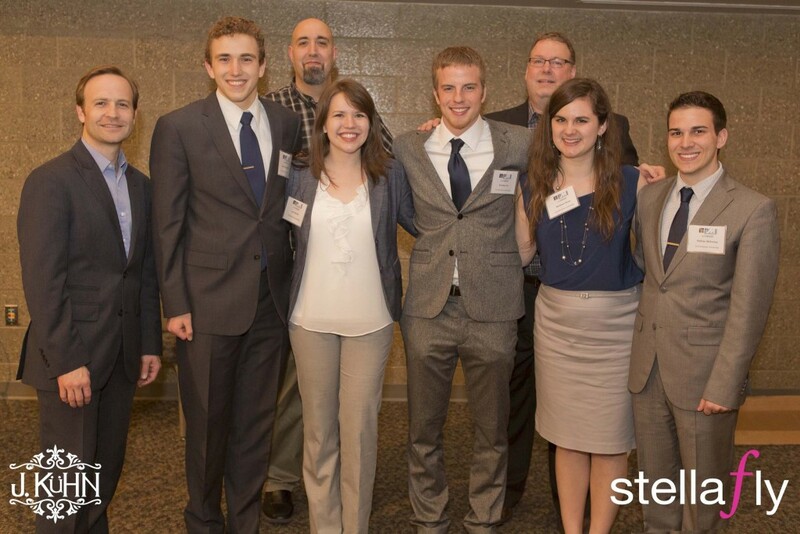 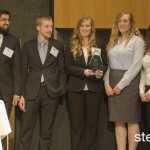 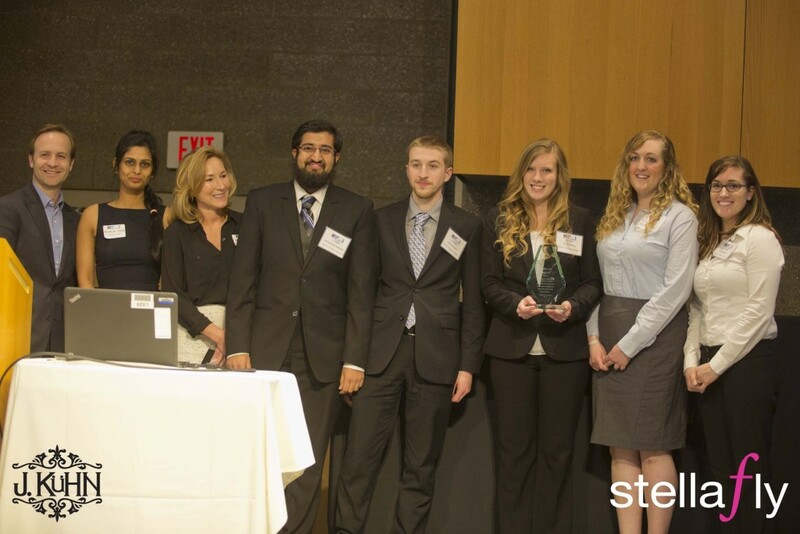 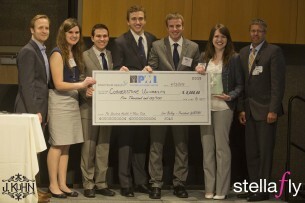 The year, the top prize went to the student team at Cornerstone University. 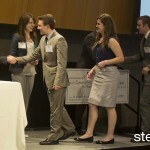 Madison Drew, James Hardman, Nathan Mahoney, and Julia Martin took home the $5,000 prize. 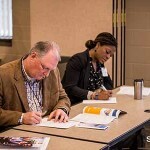 For more details about membership and the opportunities the West Michigan Project Management Institute brings to our community, visit http://wmpmi.org. 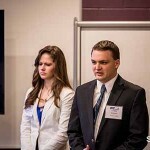 Also, be sure to LIKE them on Facebook for their latest updates!